Grace Christian School is a member of the Florida Association of Christian Colleges and Schools. FACCS is delighted to offer festivals and competitions for your Elementary, Middle School, and High School students. These events are designed for the purpose of allowing our students to gain valuable experiences through the process of evaluation and competition. We want your young people to develop their talents and have a platform for their God-given abilities. The Theater Department at Grace Christian School allows all levels of theater student to thrive and excel in a rich performance environment. Performers and technicians have multiple opportunities to serve and create both during and outside of school hours. 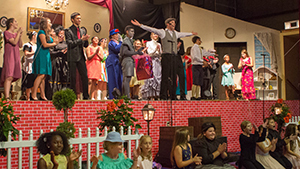 The theatrical arts at GCS allow students to develop their talents and gifts in an environment that maintains a Biblical worldview, nurtures a Christ-like attitude and desires to develop Christian character among its participants. The GCS gymnatorium houses an expansive drama sound stage. 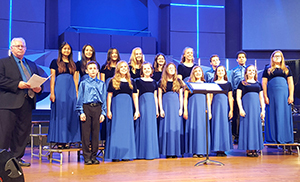 GCS students have thrilled audiences in recent years with performances such as “Peter Pan”, “Beauty and the Beast”, “The Sound of Music”, “Fiddler on the Roof” and more. The Praise Band is responsible for leading worship through music during Chapel. The ensemble consists of singers, drummers, guitarists, pianists, bass players, and other instrumentalists. 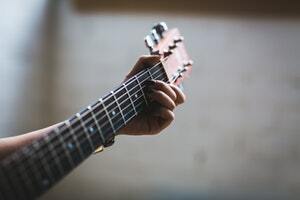 While the core of the group’s focus is on spiritual expression, the group also hones their musical skills, sense of ensemble, teamwork, and rehearsal etiquette. Preference is given to seniors in selecting this group, but auditions are open to all Middle and Upper School students. The Grace Christian School At Program aims to develop and equip young people to visually impact the community and the world with the foundational truth that God is our Creator. We are dedicated to God’s Word and His Truth so we seek to incorporate these values into our art program through creative ventures in Art Foundations, 2-D design, 3-D Design, Creative Book design, Drawing and Painting, Printmaking, Ceramics and Advanced Visual Arts. 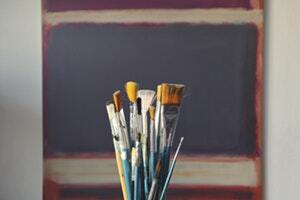 Students are encouraged to use artistic talent to bring beauty into the daily lives of others and to develop their talents to effect positive change in the world of arts and entertainment. They explore a variety of art media and thematic content while developing skills in visual memory and higher-order thinking that can effectively transfer to core academic areas.